Last week, I made guava puree from fresh guavas that I had found at the market and made guava quesadillas. I had plenty of puree leftover and promised you a guava cocktail. So now I’m delivering. 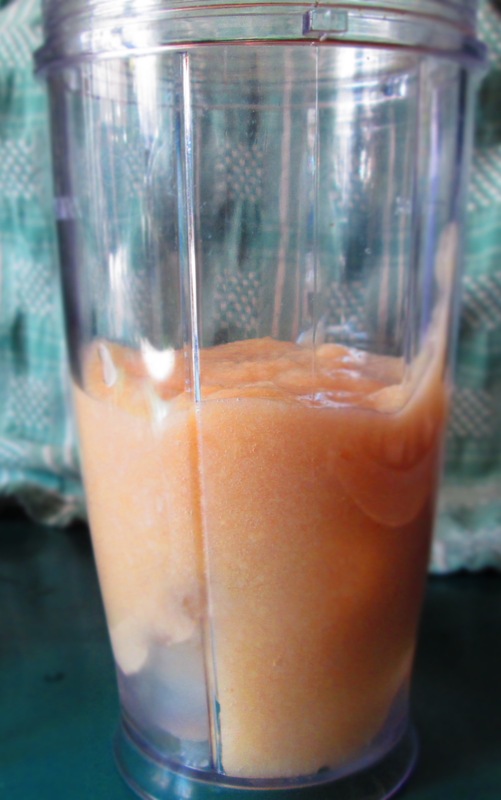 Guava puree makes for a complexly flavored drink, but also a sweet drink. So, if you prefer your drinks less sweet, you may want to cut back on the guava. 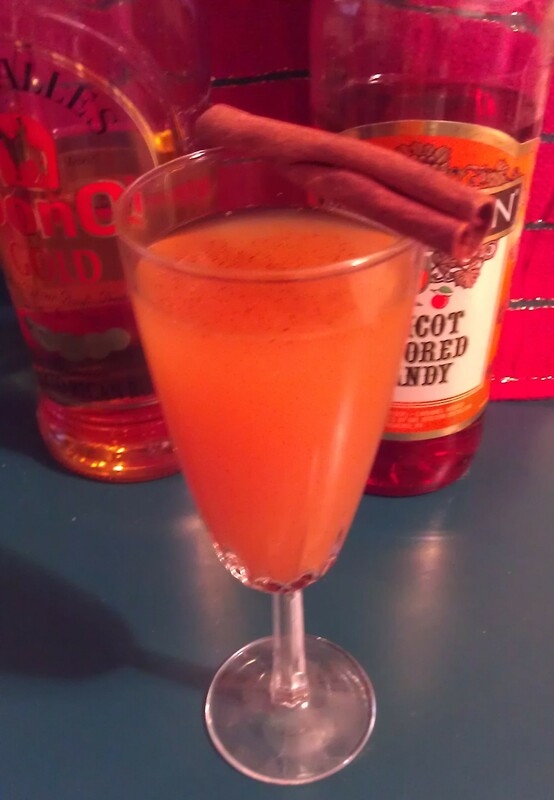 Increasing the amount of rum—as good as that sounds—won’t cut the sweetness—it will just make a really strong drink! I had purchased (unknowingly) white guavas instead of pink ones. If you get white guavas, you might want to throw in a bit of grenadine for a deliciously red color. The pictures you see here were taken before the grenadine. I stirred some in later and decided that I liked it, but it was too late for photos. 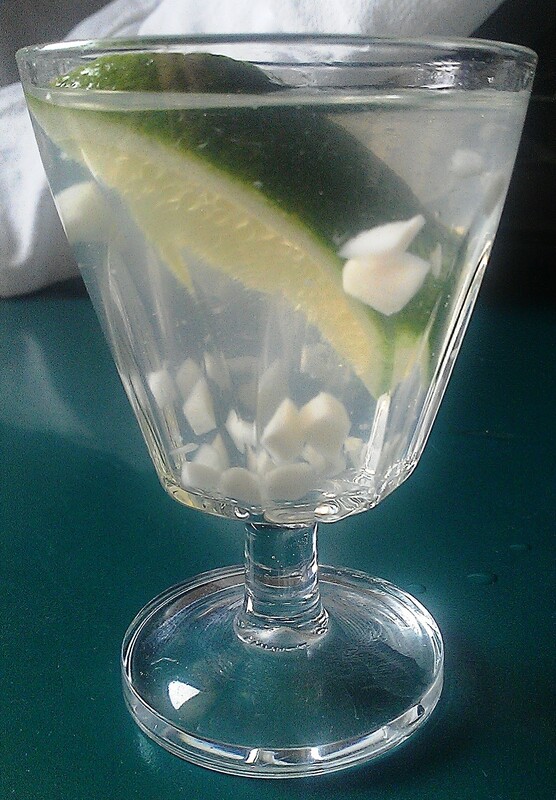 So, while the summer is hanging on by thread and guavas are still appearing at the market, grab some and try this drink. 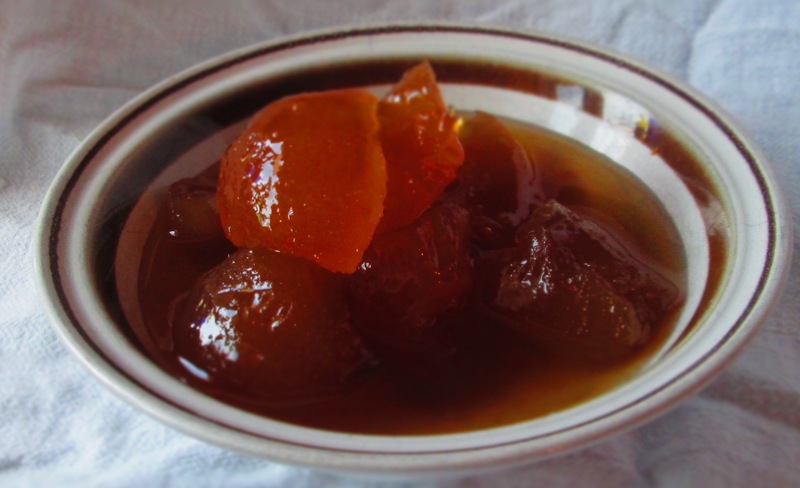 For the rest of the year, use guava paste, which I discuss HERE. 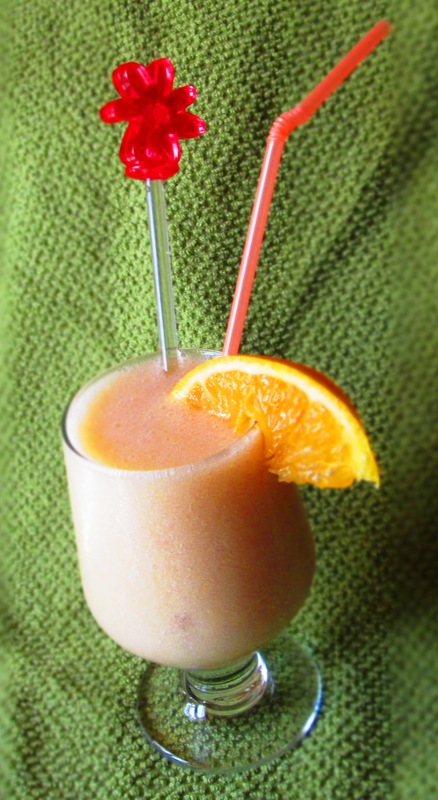 Place all the ingredients in a blender, along with a few ice cubes. Blend until smooth. Pour into 2 glasses and garnish with an orange slice and/or a sprig of mint. 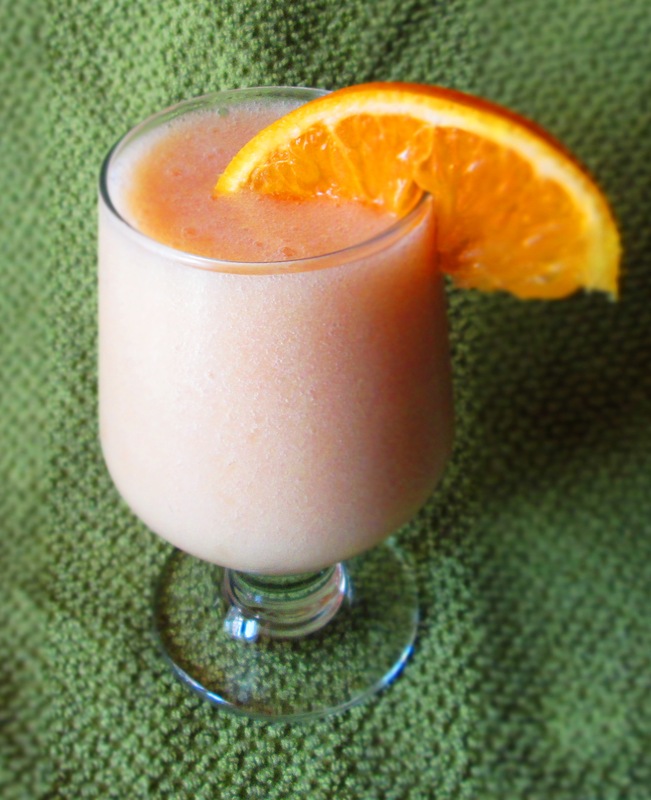 Categories: Alcohol, Beverages, Fruit, Uncategorized | Tags: beverage, booze, cocktail, drink, guava | Permalink. I can’t believe it, but tomorrow is Labor Day. This summer was a non-summer, what with all the rain and cold days. Then again, there have been some gorgeous weekends recently, so I guess it wasn’t all bad. Doesn’t change the fact that the summer is over. I can hear the Friday night fireworks at Coney Island from my house and this past Friday was the last one of the season. When I hear that final, cacophonous thunder that marks the end of not only of the week’s display but of the summer’s, it always makes me a little sad. But Americans do not go gently into that goodbye of summer. Labor Day means picnics, barbecues, beach parties, and lots of food and fun. And I have just the cocktail to go with it all. It makes use of summer goodies, like cucumber, mango, and mint, but it makes a great cocktail for the coming holidays, too. And because cucumber and mint are also considered a restorative and a digestive, respectively, it makes a great after-dinner cocktail for Thanksgiving and Christmas. 1. Place cucumber, mango, mint, maple syrup, and lime juice in a food processor or blender. Process until fully pureed. 2. 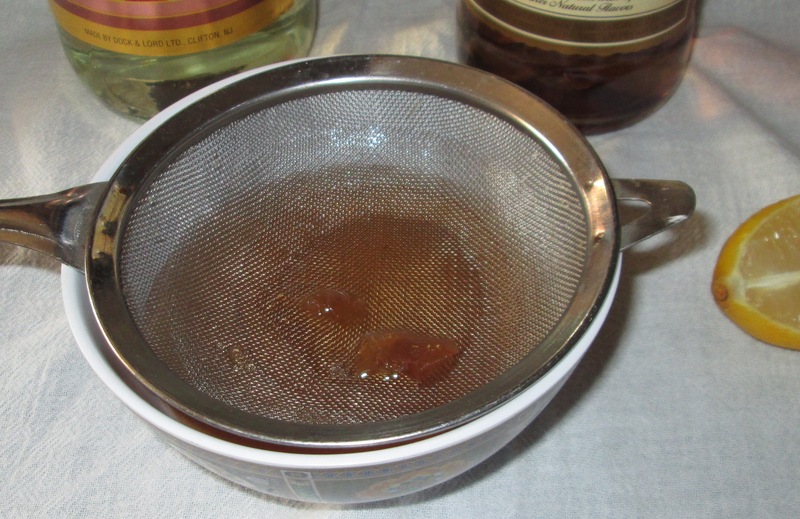 Set a fine mesh strainer over a bowl. Pour mixture into strainer and let it drip through. Press down on pulp with a rubber spatula to strain as much liquid out as possible. 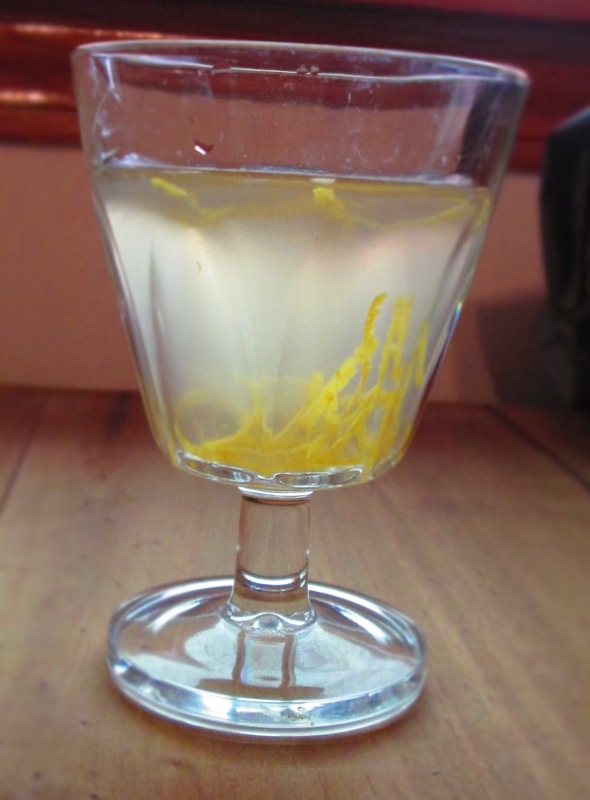 Whisk in liqueur. 3. 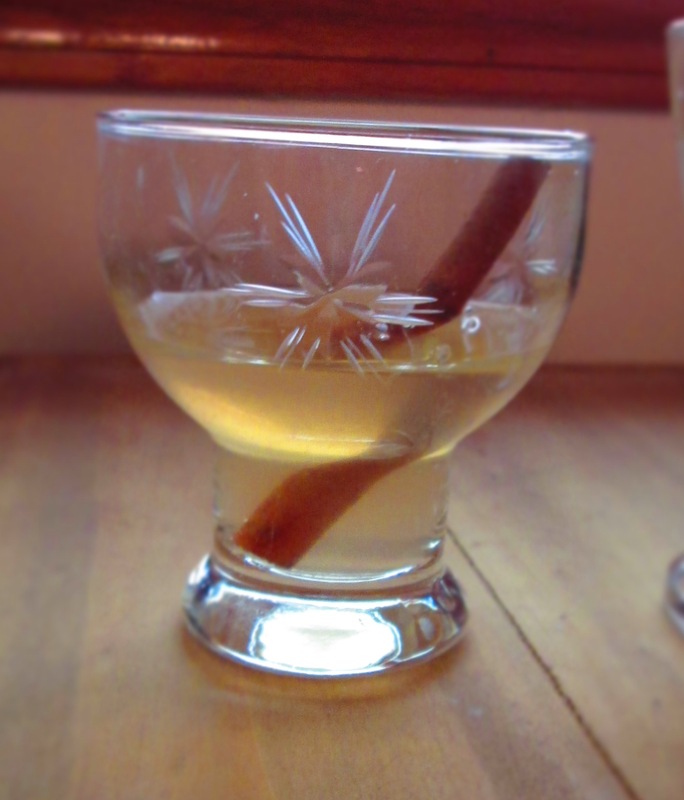 Pour into shot glasses, top with mint sprig, and serve. 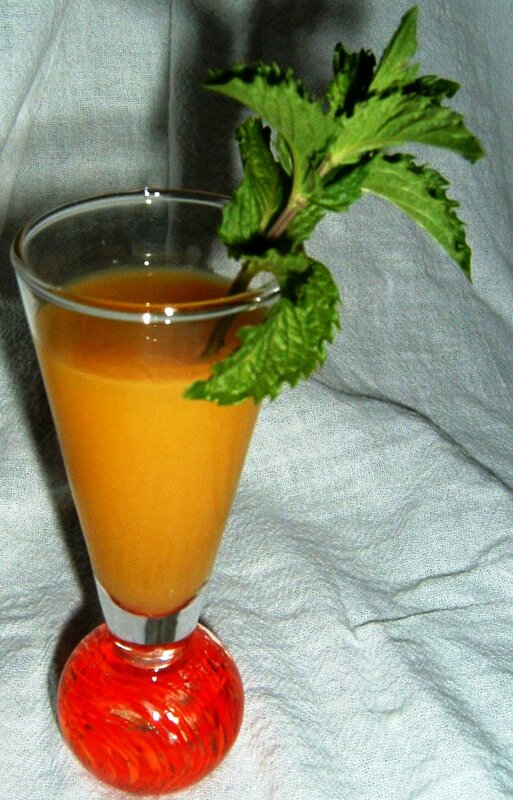 Categories: Beverages, Holidays, Uncategorized | Tags: beverage, cocktail, cucumber mango mint shooter, drink, labor day | Permalink.